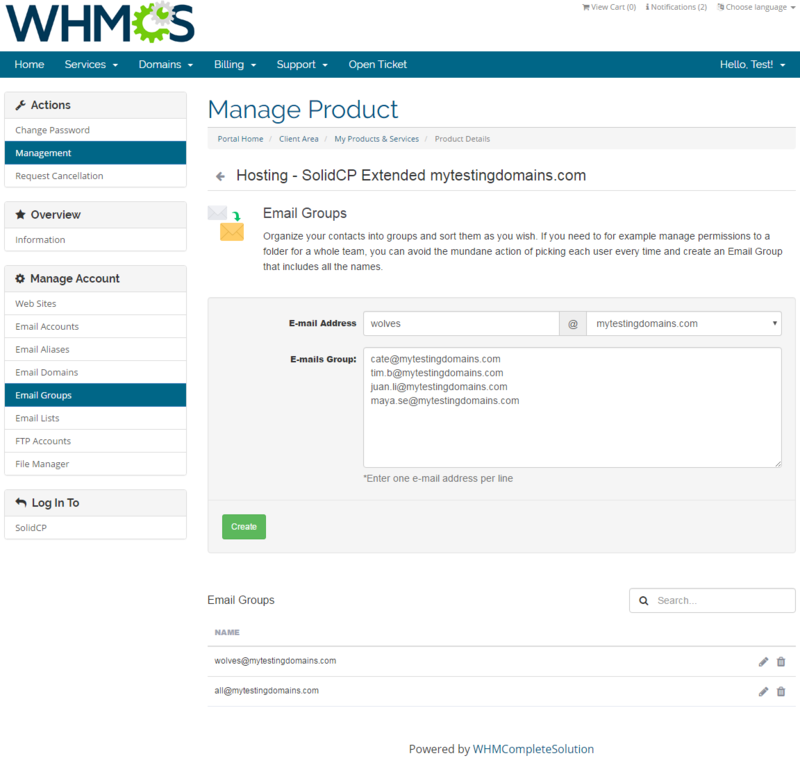 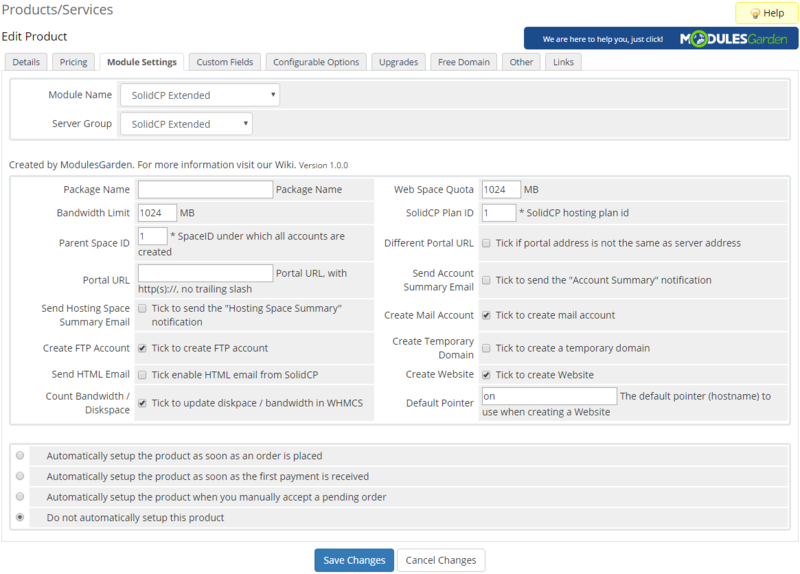 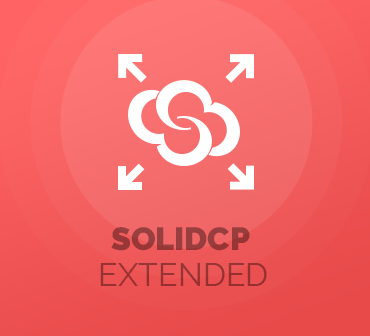 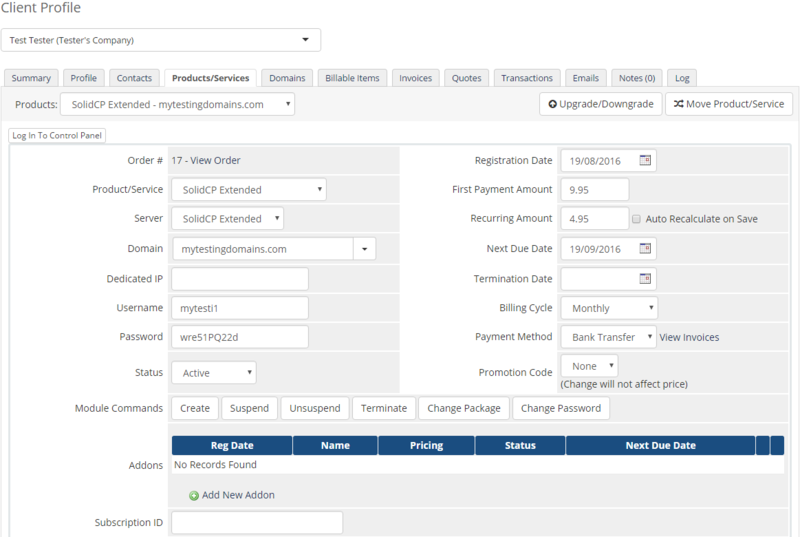 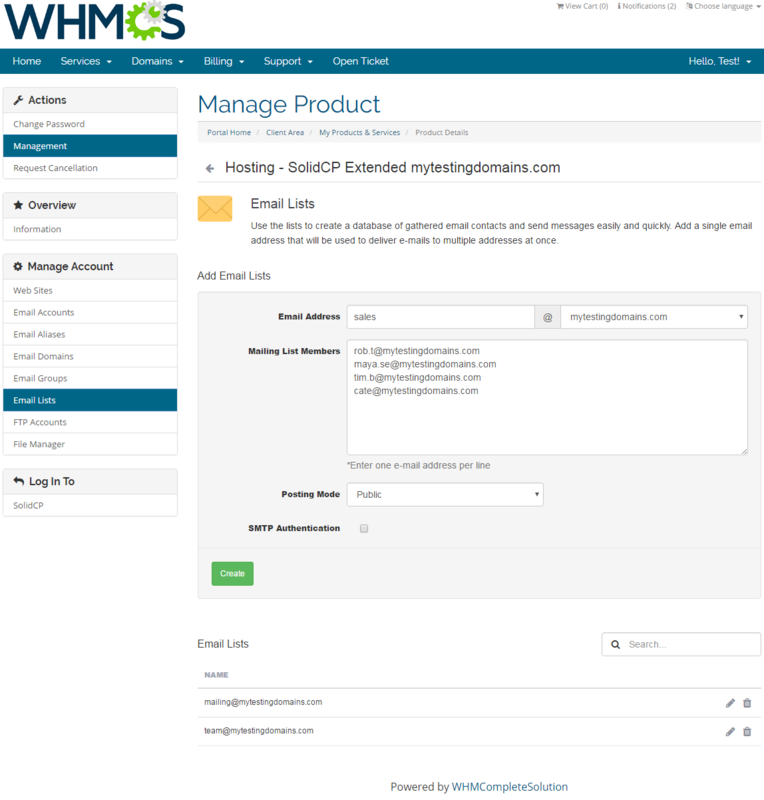 SolidCP Extended For WHMCS will allow you to automate the provisioning of SolidCP accounts and let your clients manage their accounts directly in your client area. 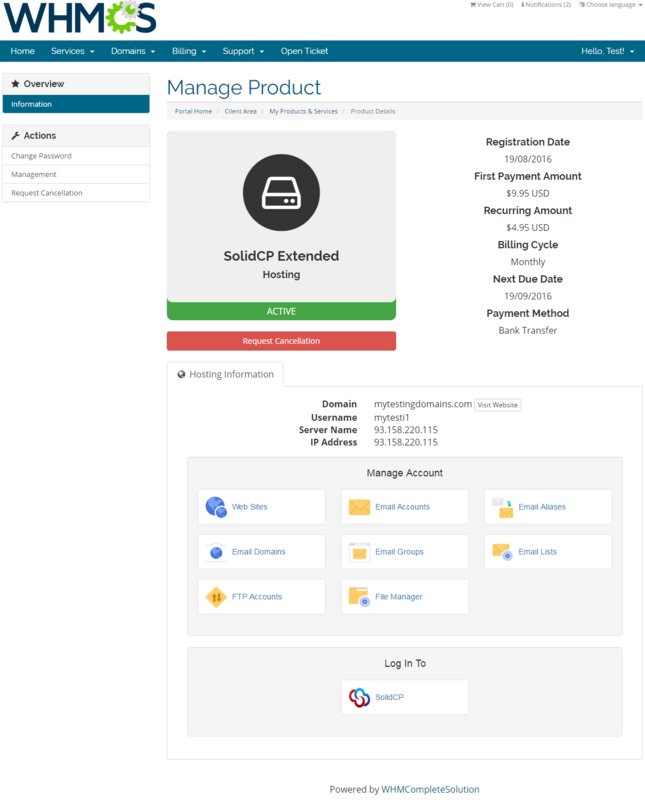 Thanks to the numerous features in our module, the necessity to log into the external panel has been diminished to an absolute minimum. 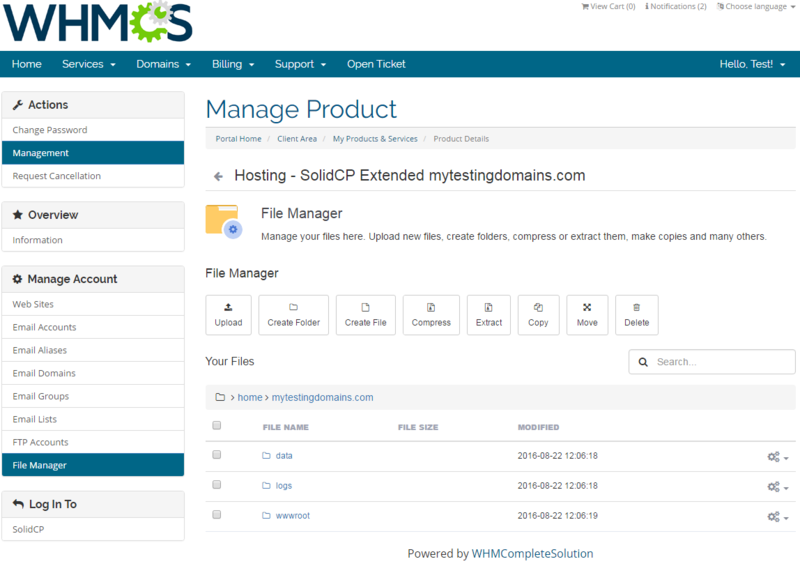 The module will give your clients the opportunity to create FTP accounts, enjoy highly advanced emails management with lists, groups, domains and aliases as well as access the file manager of SolidCP without even leaving your website! 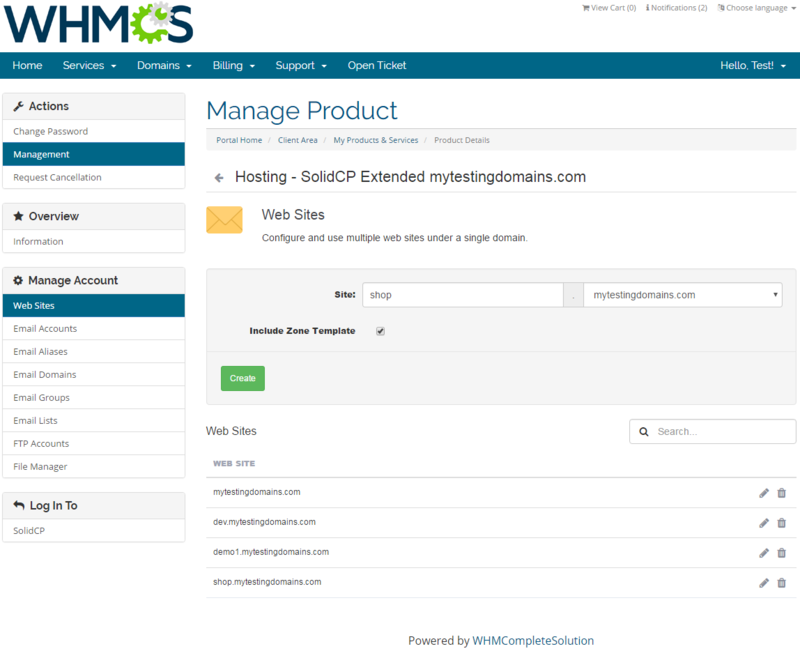 Such a fantastic solution will enhance your business and make management of web hosting accounts as simple and user-friendly as possible. 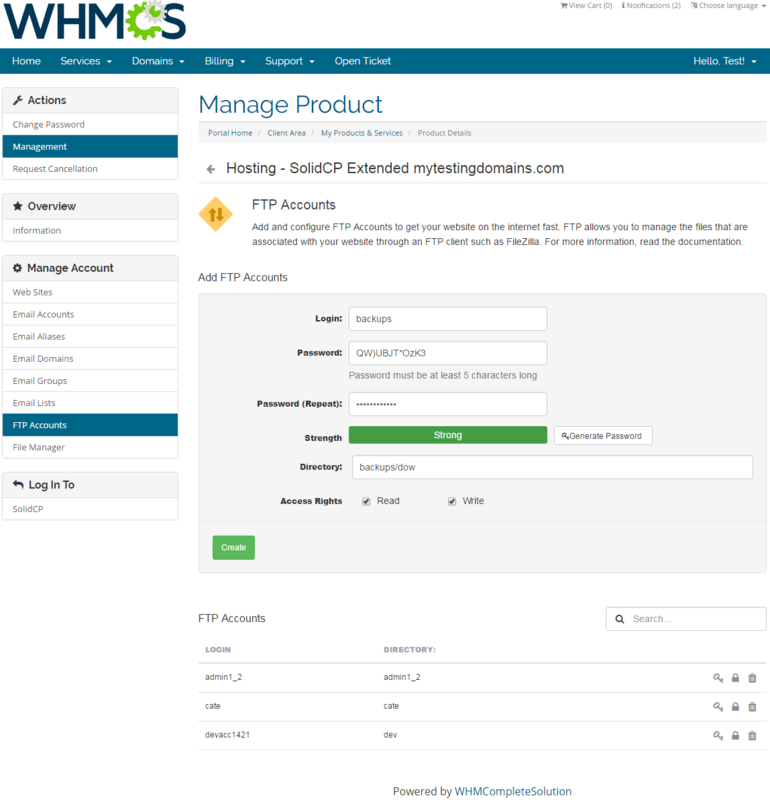 To gain even more, integrate your SolidCP Extended For WHMCS with DNS Manager For WHMCS to remotely manage DNS zones in the client area. 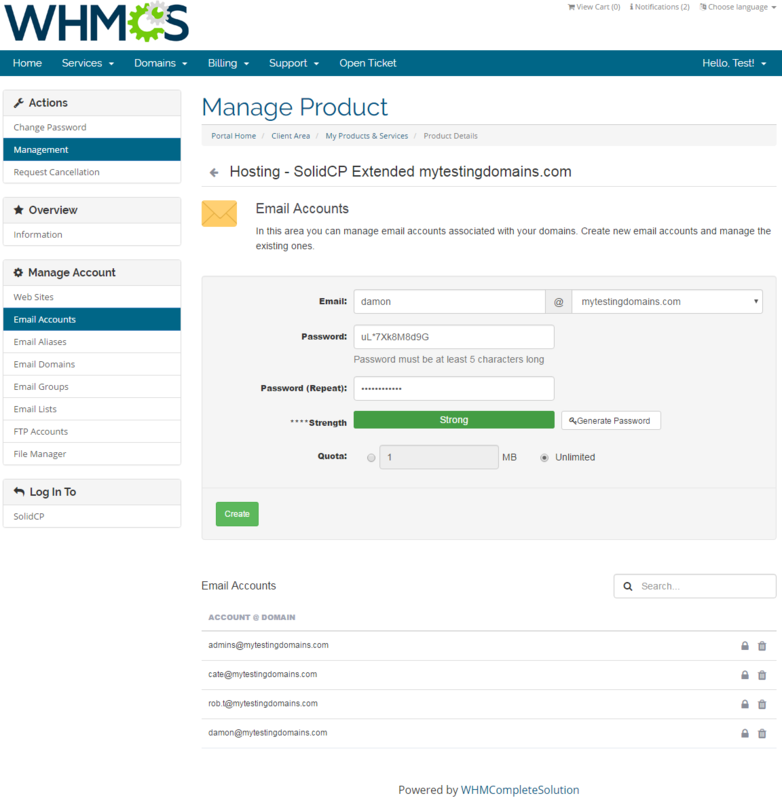 Order SolidCP Extended For WHMCS and observe how enjoyable the remote management of account will become to your customers. 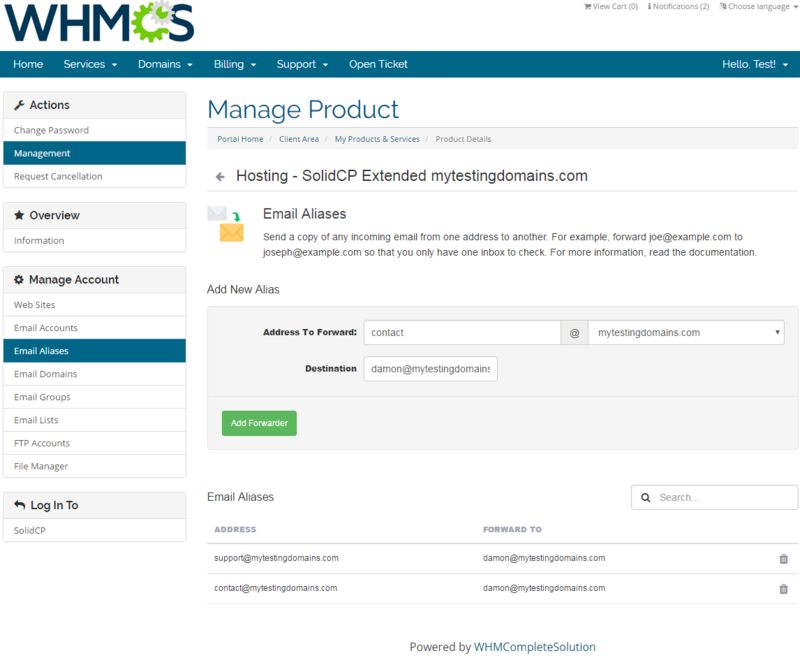 Provide your customers with MSPControl accounts automatically plus enable remote handling of FTP accounts, emails and other web hosting components in your client area.